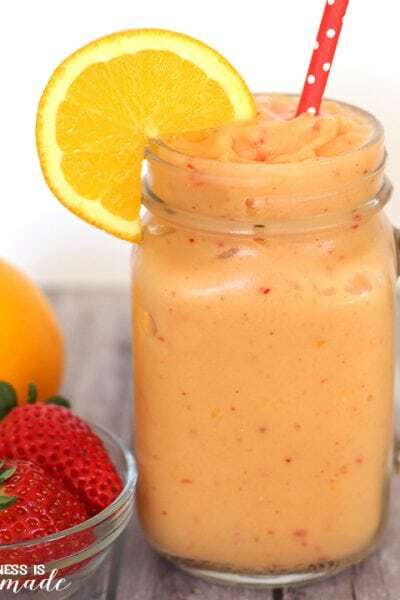 I recently discovered a great “mom hack” and have frequently been using Campbell’s Sauces, part of the line of Campbell’s new products that are designed to help you get dinner on the table in no time (with minimal prep work!). 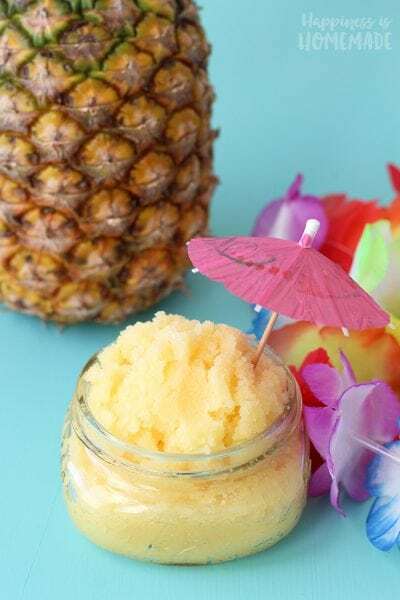 I have made some seriously yummy and easy-to-prepare meals for my family lately, and I think that the sauces are the perfect solution for busy moms who don’t want to spend all of their time in the kitchen preparing dinner. There are lots of different flavors and varieties of Campbell’s Sauces that are designed to be used in the oven, in the slow cooker, in a skillet, and after you grill. No matter which way you’re cooking, there’s a Campbell’s Sauce for it! 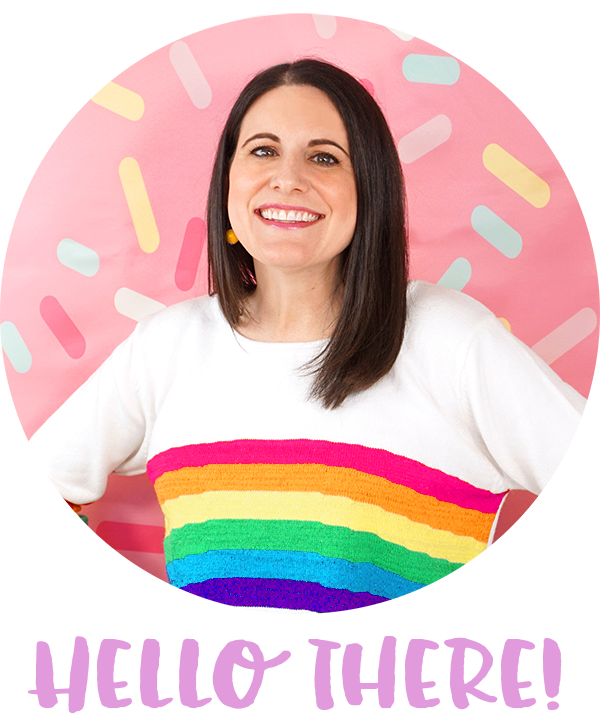 Psst…want to know my favorite time saving tip for dinnertime? I like to grill a big batch of chicken breasts on Sunday, and then use the leftover grilled chicken to make our dinner recipes for the next couple of days. Pre-cooking the meat saves me a ton of time! 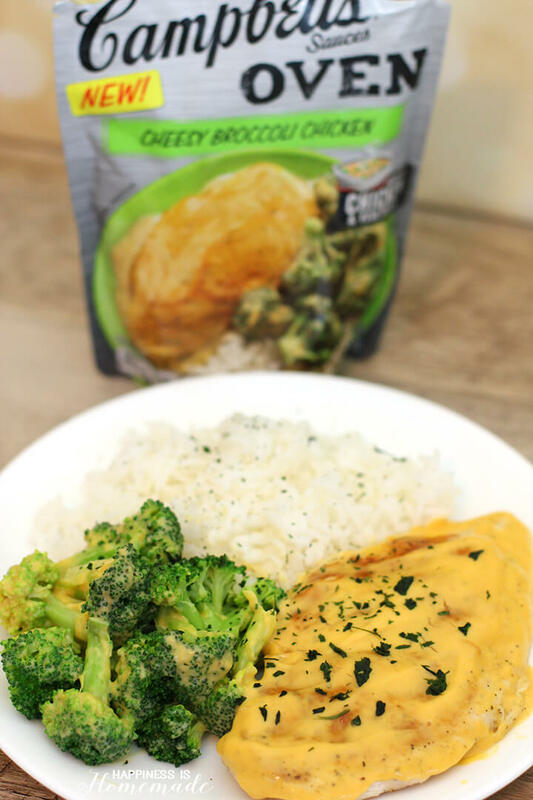 Campbell’s Cheesy Broccoli Chicken Sauce is perfect for leftover grilled chicken. 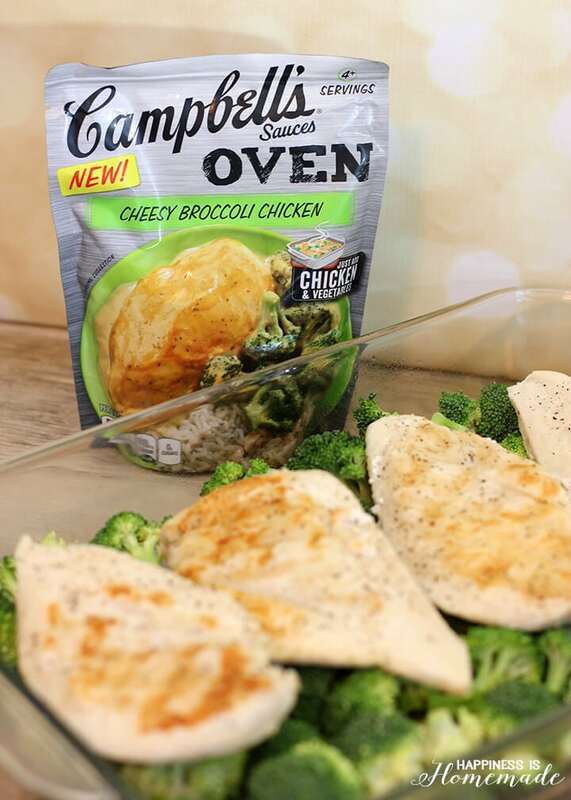 Simply layer four chicken breasts in a baking dish over broccoli florets, top with sauce, cover and bake for 15 minutes. 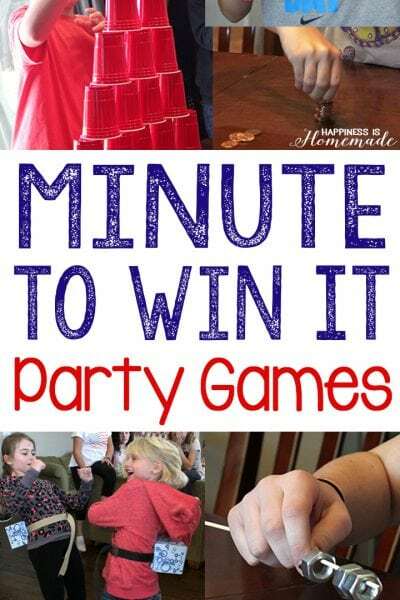 See how easy peasy that is?! Less time in the kitchen means more time to spend with my family! 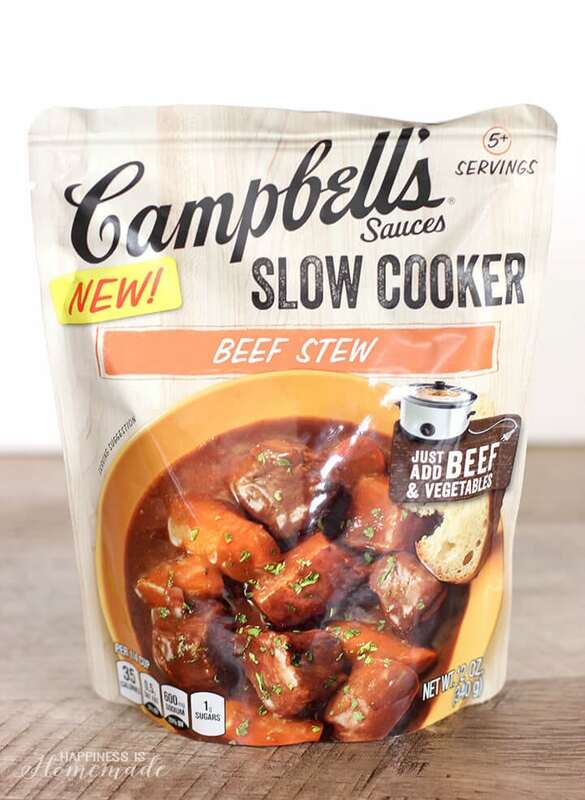 Our favorite sauce is the Campbell’s Slow Cooker Beef Stew Sauce. 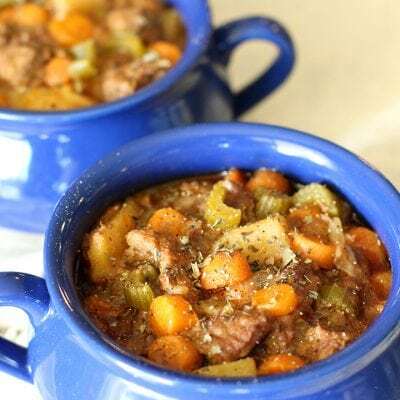 Beef stew is a classic comfort food that’s perfect for autumn, and it’s also a great way to use up vegetables from your refrigerator and pantry. 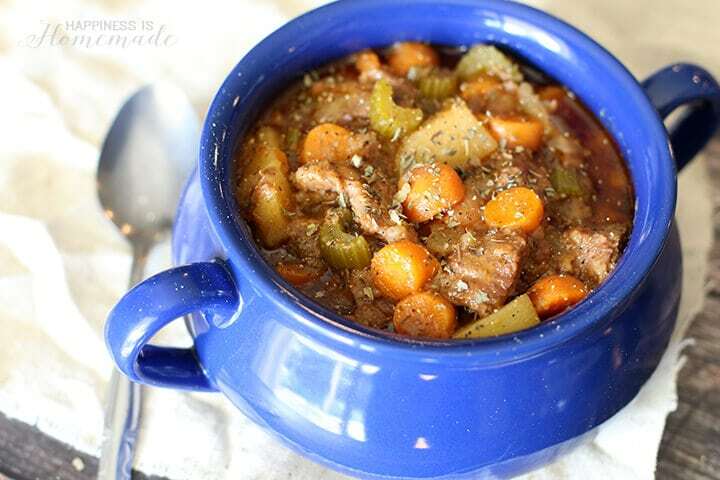 I include potatoes, onions, carrots and celery in my beef stew, but I’ve known people to add bell peppers, broccoli, green beans, kale and other leafy greens as well! 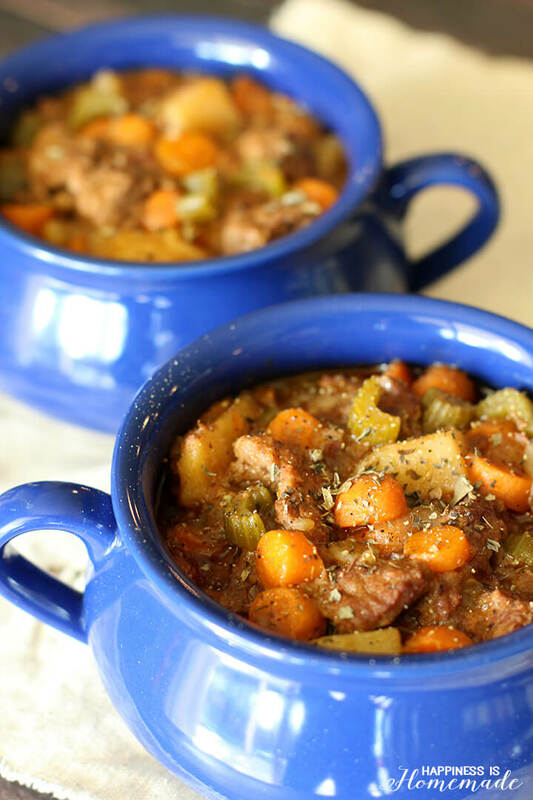 To make our rustic beef stew, I simply gave our vegetables a quick chop and threw them into the slow cooker along with stew meat and the Campbell’s Slow Cooker Sauce. I like to toss my meat in flour and give it a quick sear in a cast iron pan before I toss it into the crockpot, but that step is totally optional depending on your time constraints. 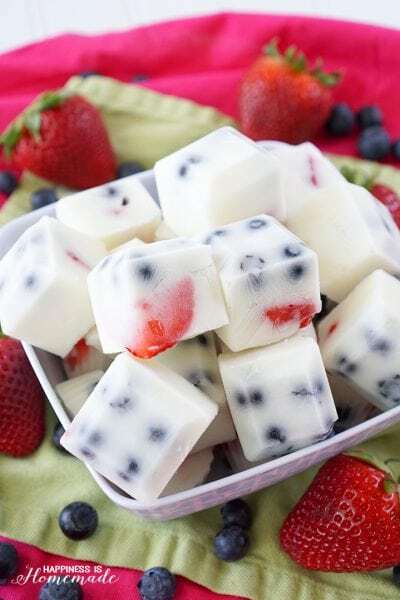 I do think it adds another layer of flavor to the finished dish though! 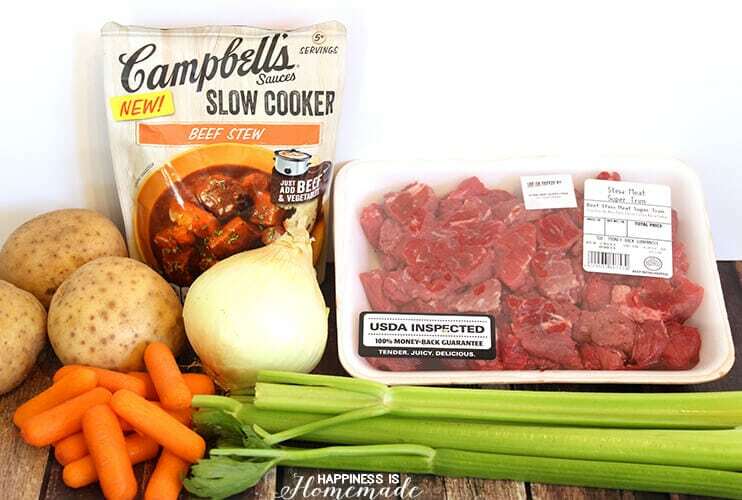 Layer the ingredients in the slow cooker in this order: potatoes, onions, carrots, celery, Italian Seasoning, and stew beef. Top with Campbell's Slow Cooker Sauce. Eating dinner with my family is a huge priority in my life, so I’m really happy to have discovered these great new products that reduce my time in the kitchen (because everyone knows that I would much rather spend those extra minutes hanging out with my family instead of cooking dinner!). 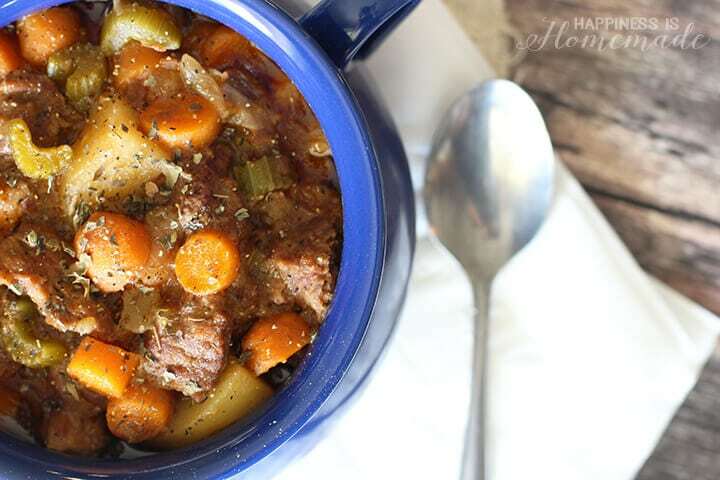 This beef stew smells amazing as it slow cooks for hours, and by dinnertime my entire household was ready to devour the entire pot after being teased by the delicious aroma all day long! It was incredible!